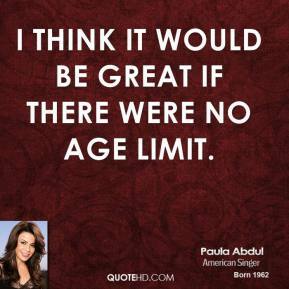 I think it would be great if there were no age limit. 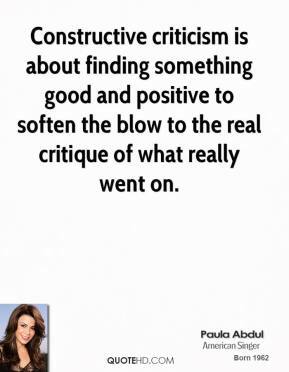 Constructive criticism is about finding something good and positive to soften the blow to the real critique of what really went on. I am in Toronto, shooting a movie for NBC. I can't wait to be back on the dance floor. I feel really good about it. I got a call to come in and meet Fox, and the rest is history. 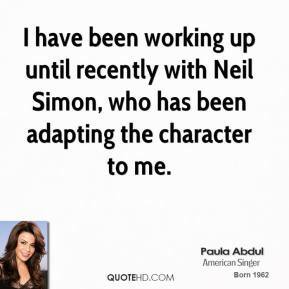 I have been working up until recently with Neil Simon, who has been adapting the character to me. I signed on with Disney to star and choreograph an original film. 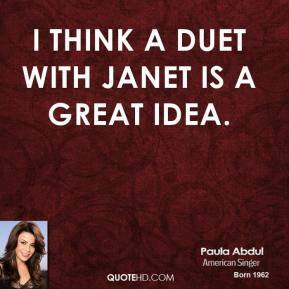 I think a duet with Janet is a great idea. 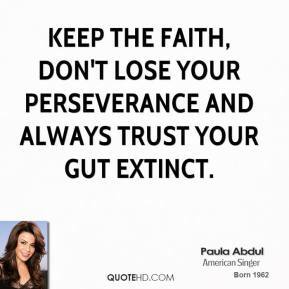 America fell in love with the innocence of a kid who just was honest, saying, I did the best I could, and I had no formal training. 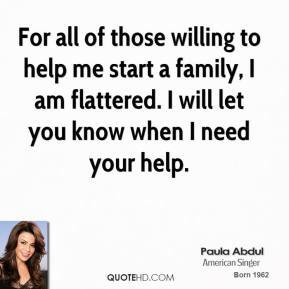 American Idol has taken over my whole life. 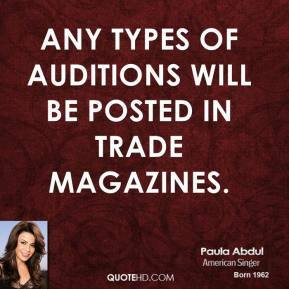 Any types of auditions will be posted in trade magazines. 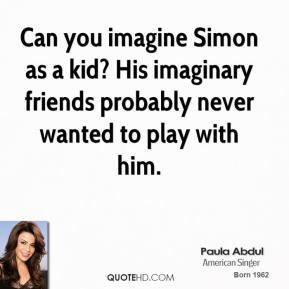 Can you imagine Simon as a kid? His imaginary friends probably never wanted to play with him. I will never forget my humble beginnings as a Laker Girl. It was probably one of the most fun jobs I ever had. 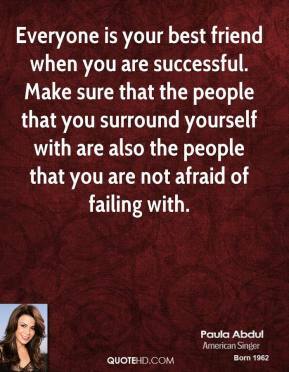 I'm grateful this ordeal is over, and I'm so looking forward to getting back to the job I love. 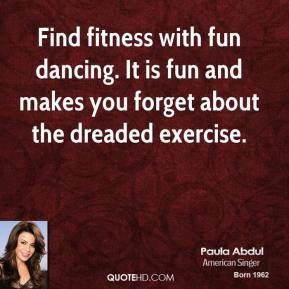 I'm working toward a CD that will have all of you dancing like crazy. 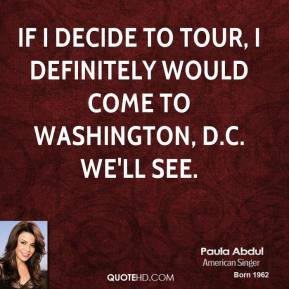 If I decide to tour, I definitely would come to Washington, D.C. We'll see. 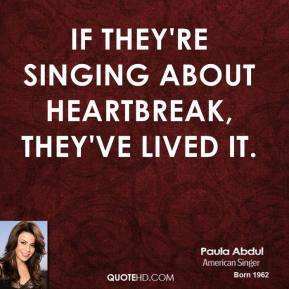 If they're singing about heartbreak, they've lived it.